I received some great feedback about my last blog, Lambton’s Communal Experiment: The Maxwell Settlement. A lot of people are unaware of and fascinated by this pocket of Lambton County’s history! I have been working closely with the Jones Diaries over the last few weeks, and I wanted to share some additional information about this amazing collection to flesh out the Maxwell story. So here is Keeping Up With The Joneses: The Maxwell Settlement Part 2! The collection contains diaries from three different Joneses: two diaries from Henry John Jones Sr., the master-mind and driving force behind Maxwell; a single diary from Julia Maria Jones, Henry John Sr.’s daughter; and a whopping thirty-four diaries from Henry John Jones Jr., Julia’s brother. 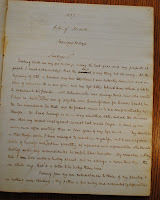 Henry John Jones Sr.’s diaries document between December 11, 1831 and September 22, 1833. His entries can be a bit formulaic; he tends to record weather readings, such as thermometer, barometer and wind speed. 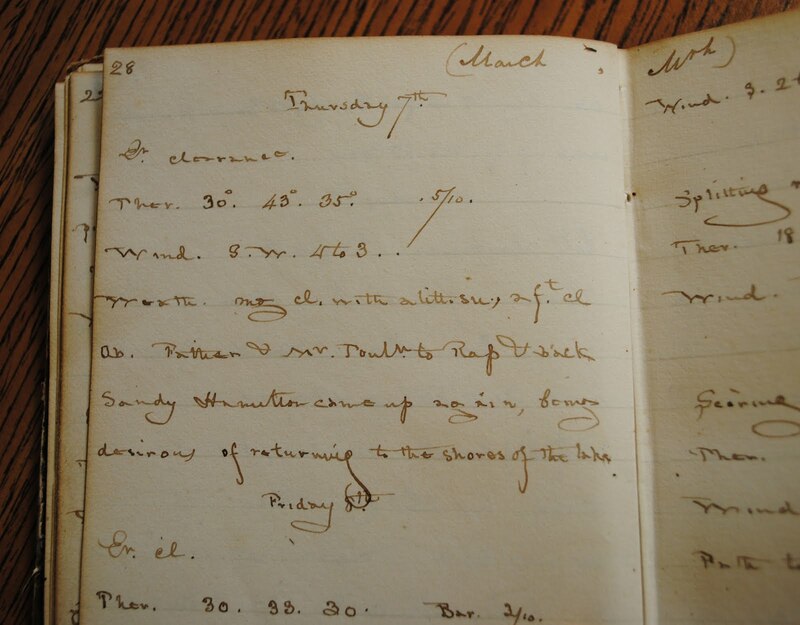 He records details about agricultural activities, farm accidents and visitors. For example, September 28, 1832 he noted, “Townsend arrived with workmen to finish bridge. 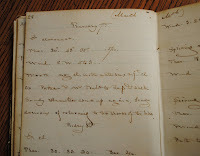 2 boys stopped in search of horses.” (page 123) March 7, 1833 Jones recorded, “Sandy Hamilton came up again, being desirous of returning to the shores of the lake.” (page 28) His diaries provide a great snapshot of activity at Maxwell during its heyday. 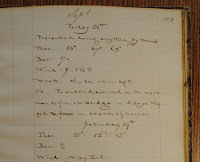 Julia Maria Jones kept a diary from May 20, 1830 to August 28, 1830. It documents the journey from England to Canada, and through to the site for Maxwell. “Our view of Maxwell even at first was favourable…” Julia notes, commenting on the beauty of the landscape and the hard trek she endured to reach her destination. Henry John Jones Jr. documented an extensive portion of his life with diaries. His first diary was “Remarks on the zoology of the neighbourhood of Maxwell,” a summary of the animals around Maxwell without much detail about the activities of the humans. 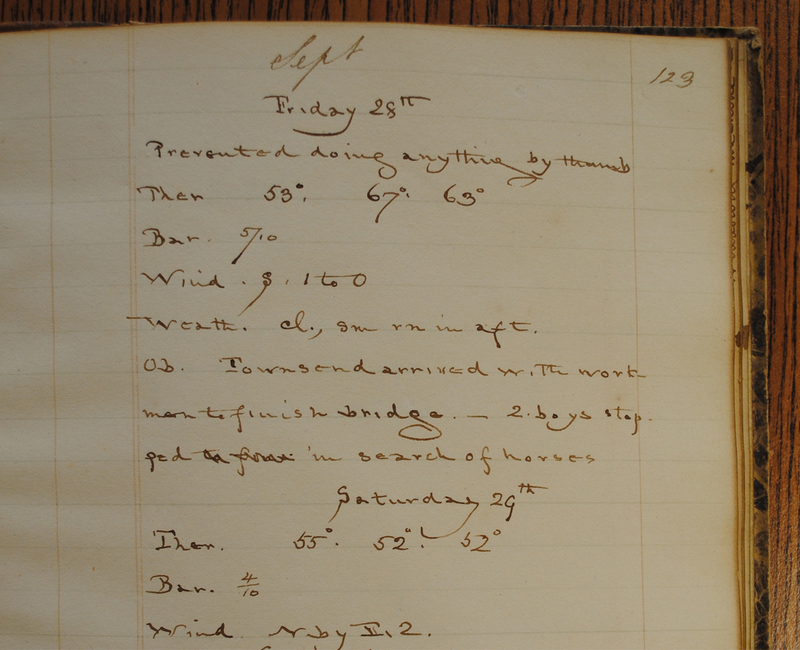 He kept regular diary entries until 1843, when our collection abruptly stops until 1852, when it picks up regularly again. It is possible that he quit writing for that period, or the diaries are in someone else’s possession. 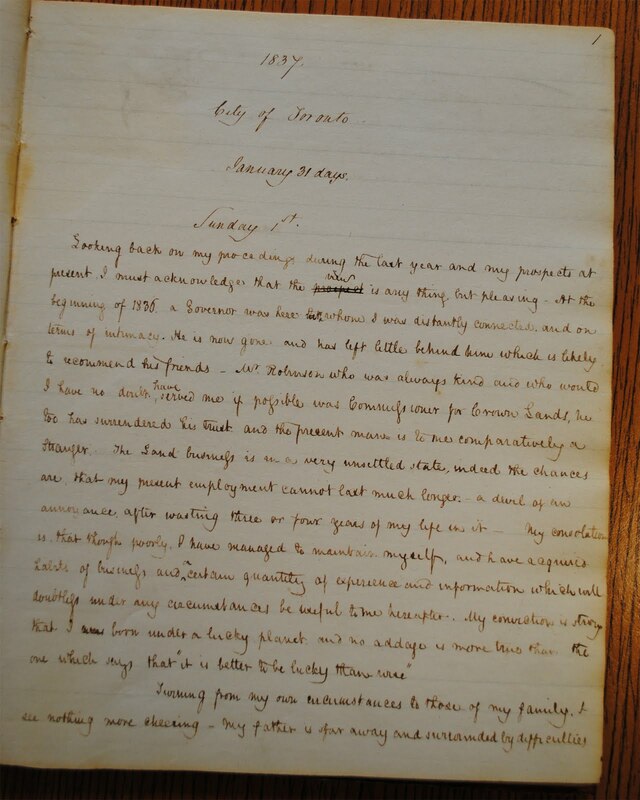 The last diary we have ends in June, 1883. While the family’s ambitious Maxwell failed, their dreams and experiences are recorded forever in the Jones Diaries.